Original paintings are in public art galleries worldwide and American museums, such as the National Museum of the American Indian, Washington D.C./New York City. 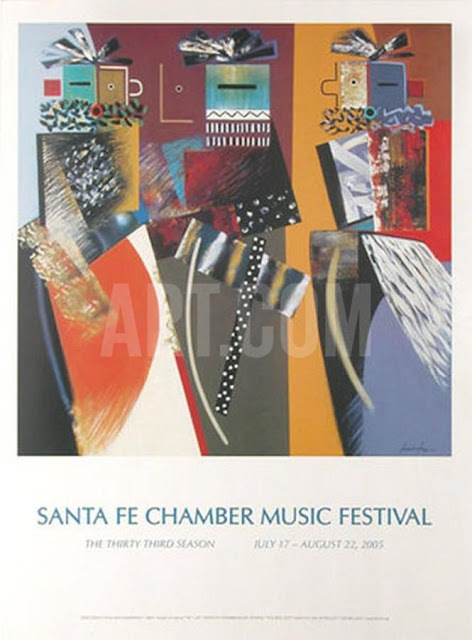 Tony Abeyta is of Navajo and Anglo-American descent, the son of the late Navajo painter Ha-So-De (Narciso Abeyta). He was raised in Gallup, New Mexico, a small town surrounded by the Zuni (Pueblo Native Americans) and Navajo reservation. Pursuing his educational aspirations provided him an opportunity to travel. He has studied at art institutions in Baltimore, Chicago, Maine, New York, France and Italy. Though much of his work is rooted in a complex Navajo culture, it also displays elements of a progressive cultural experience. To work around the traditional art system, i.e. 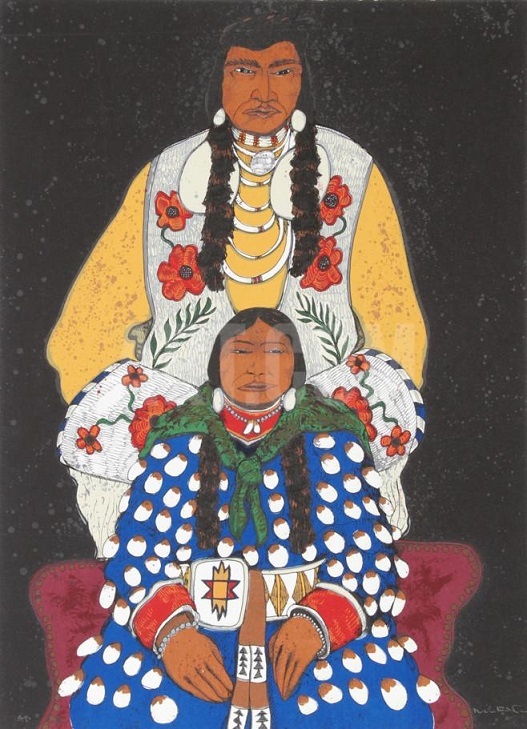 non-recognition of Native American artists, Namingha opened his own gallery. Niman Fine Art is a family-owned and operated gallery representing the works of internationally known artist Dan Namingha and other Namingha family members. His original works are also available at art galleries worldwide; for example, Artnet Galleries. November is Native American Heritage Month in the United States of America. 3-part blog post. Spotlight on three Native American artists of Crow, Hopi and Navajo descent, who share the art resulting from their culture and traditions with the world. In 1990, President George H. W. Bush approved a joint resolution which designated November as "National American Indian Heritage Month". Below are profiles of three Native American artists whose persistent and diligent efforts have introduced the contemporary art of descendants of the first Americans to an international audience. Kevin Red Star Studio & Gallery, Roberts, Montana. Kevin Red Star is a celebrated artist who is internationally known. He was born on the Crow Indian Reservation in Lodge Grass, Montana. He is the recipient of 2 Honorary Doctorate degrees. He was awarded an Honorary Doctorate Degree in Fine Art from the Rocky Mountain College in Billings, Montana in 1997; and an Honorary Doctorate Degree from the Institute of American Indian Arts in Santa Fe, New Mexico in 2010. Well thanks to his efforts and that of many others who support the preservation of our Native American history, culture and heritage, it will be ignored no longer. Red Star's work can be found in numerous important museum collections, including but not limited to The Smithsonian Institution - National Museum of the American Indian.